So I didn’t think I was originally going to go to this one before it hit the dollar theater but on some word of mouth recommendations (and the fact it is getting as much buzz as it is) this little pagan thought he would see if this was more than the typically bad Christian film. * It wasn’t, I would go as far as to say this is the best I’ve seen from this genre. It certainly was the best performance I’ve seen from Kevin Sorbo. But that is not to say that it is not without its flaws. The central plot revolves around a Christian student (Shane Harper) Josh Wheaton** who is forced to either say in class that there is no God or risk his grade for the class. And as there is no tradition of taqiyya in Christianity he feels he cannot lie about his faith. This, in what I have to say is the worst teaching method I have ever seen, leads the rather pompous professor (Kevin Sorbo) to try and humiliate him by making him defend the idea that God exists before the class. What follows is his defense of God and how it affects him and those in his class…and a lot of people not in his class, and some people only connected by the most tangential lines…honestly I think they tried to squeeze way to many subplots into this movie. The traditional argument by cause…although Aquinas made the philosophical much better, and I’ve seen many others make the scientific argument much more clearly. The argument from design looking at life, specifically he looks at the rather shaky grounding for modern evolution being set on punctuated equilibrium…rather than the stronger attacks on the fact that life could not just spontaneous come into existence, nor could sentience. But I was quite happy that the writers took the much more intelligent tack that even if evolution is true it still demands a God to work the way it has rather than the ignorant creationist or simplistic intelligent design arguments. And finally rebutting the problem of evil and taking the Augustinian side that evil exists because of free will. Regrettably the film didn’t actually use any of the names or terms I used above which would make it difficult for most people seeing this film to actually go and read the more fleshed out versions. So if the film wanted to convince people it may have whet their appetite for these ideas but it didn’t give them anything to work with from there. But overall the case presented by the student is one that is accurate if a bit over simplified. Further I liked the point that behind every atheist is a very angry theist who is angry at God for some reason, which is more or less what I’ve witnessed in life…and what has at least been partially substantiated by research (it’s been shown they all fear him…and with following Yoda’s line of logic…) Although given the rather callous and shallow letter the professor’s character’s mother wrote to him before dying, I can kind of understand why he might have issues with God. My biggest problem is this jump in logic the movie seems to make over and over again. If I show the arguments against God are wrong and show evidence that there is a God then it follows that a Protestant Christian interpretation of God exists. Over and over again this movie implicitly makes this assumption. Now to a New Ager like me this is where I have problems. If you destroy the opposition’s case and show that a God exists…that shows that a God exists. You still have a long way to go to prove that your particular interpretation of God exists. And this is the biggest problem I have both with atheists and Christians in this fight; they both seem to assume it’s either their side or the other side. It’s this one or the other. Atheists seem to feel that all Christians believe the exact same thing and can be lumped together and most Christians (or at least a very large portion of the more vocal ones) seem to feel that their interpretation of Christianity is obviously only the right one. As a non-Christian I look at this battle between these two groups with probably the same confusion that America looked at the side war between Finland and the USSR in the early 40’s: Guys you do know there is much bigger battle going on that doesn’t just involve your own petty differences? Right? Honestly as someone with many Thomist sympathies, I don’t think even Catholics would be particularly thrilled with the defense of Christianity in this film (but I could be wrong). But I think this shows a larger problem that is not just specific to Christianity (nor do I think all Christians suffer from it). This film, which ostensibly should have been there to try and offer arguments for atheists and agnostics to give up their beliefs and accept God, does a poor job of it because it implies that if you believe in God you must be a Protestant. You would do a much better job by just proving that a God exists. Once that door has been opened philosophically then if you truly believe in your interpretation you should trust free will and faith (which was a central part of the argument in the movie) to bring people to the truth. By saying that if you have to accept everything or nothing you’re committing just as egregious a logical sin as atheists, and tactically making a very poor move. And I say this is a larger problem because you’re seeing the same problem in a larger political sense, where populists are currently demanding that all who are in the Republican party must be ideologically pure or we can not have them at all…and it is this attitude that drives voters away and keeps the party from winning time and time again…and if Christians* like the producers want to make a case for God they might do best to just try and prove the existence of a God by itself before they make the case for their interpretation of a God as making someone accept both at the same time might in many cases be a bridge too far. One of the most jarring things of the whole film is that near the end one of the atheist characters in the film is confronted with death and makes a death bed conversion. Luckily there is a minister there to help guide this character back to the faith in their last minutes…and it’s not too subtle that God had a major hand in making sure the minister was there at that place in that time to help save that soul. Even as a pagan I didn’t have a problem with this because I do believe this is how God works…what I had a problem with was that between the writing and directing the scene comes off in a very cold and callous way. Immediately he begins preparing this character for death even though the correct thing for someone to do would have been CPR to save the character’s life. It comes off a little heartless. The fact the very next scene has the cast of Duck Dynasty insulting this character after they’ve already died is possibly one of the worst directing calls I have ever seen (honestly if you just flipped the order of the scenes it wouldn’t have been as bad) but apparently the director felt like insulting the dead. On a final note I did appreciate the film showing that China is a repressive tyranny and the religion of peace is anything but. If you’re a Protestant you’ll probably be able to overlook some of the glaring philosophical problems and downplay the bad writing and actually enjoy the film (again I’m not entirely sure how much the Protestant interpretation will grate for non Protestant Christians)…if you’re not a Christian that philosophical jump between God’s existence and Jesus died for you might be a bit much to overlook and ruin the enjoyment. I give the whole thing a C-. *That is not an insult to Christianity…that is an insult to the absolutely pathetic writing and production values faith based movies have had for the past couple of decades. Let’s be honest, Lifetime laughs at the production values of faith based films. 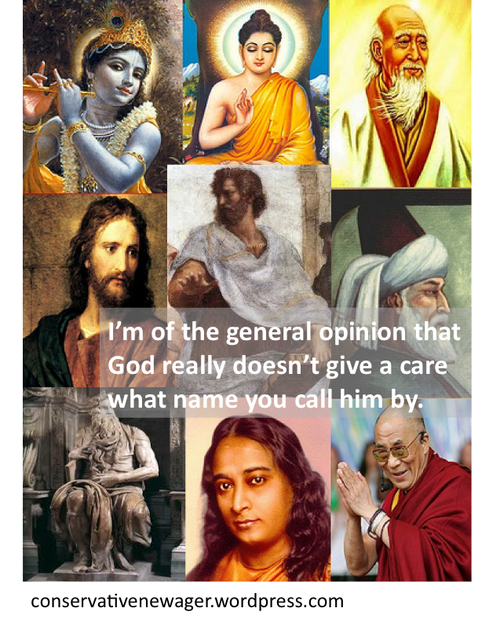 **I still am not sure if the fact that his name bears a great deal of resemblance to a very famous atheist is intentional or not. ***Again certainly not the entirety, but an awfully large number with access to mass media. Lately I have noticed a very strange resurgence, once again in an election year, of the most idiotic branch of religious closed mindedness popping up in political forums. And it seems to keep coming from the right…do these people want to lose or are they just too stupid to realize that this constantly hurts the party and actually getting anywhere with any of their ideals? Let me start off by saying my problem is not Christianity, Christ, or organized religion in general. I may have a few issues with some of the core metaphysical concepts within Christianity, but there is nothing in the ethical code of Christ (at least in the way I read it, some others, say Calvinists or Liberation Theology reads it in a truly abhorrent way, but that’s part of what this column is about). What my problem is that not only are the craziest forms of Christianity making a very vocal comeback, but they’re doing it in a way that is distinctly political. And as this is coming out on what should be conservative outlets (really they’re being rank populist outlets). But let’s go over a few of these highlights I’ve found (really for everyone I point out here there are at least 10 other articles in the last 3 months I could point out, which suggests a much larger groundswell of the dumbest of the dumb). The first I would like to point out is an article titled 7 Reasons I’m A Conservative, Not A Liberal. Among the many reasons, some of them quite valid, he gives the idea that he is a Christian as a reason why he is a conservative. I hate this point mostly because it exhibits such an ignorance of philosophy that while I try to be articulate on the blog, it leaves me a sputtering mess of anger and outrage in real life. Note to all Christians, it is not Christianity that gives conservatism its moral back. Christ may give you many of your moral codes, but his words can be equally interpreted towards socialism as towards capitalism (as has been done by many liberals). It is Aristotle and Aristotle alone who gives conservatism the virtue based backing that makes it the only successful belief system in existence. Just take a look at history. Before Aquinas grafted Aristotle onto Christianity you had the Dark Ages, after Aquinas showed us that Aristotle was the way, you had the Renaissance, the Enlightenment, the Industrial Revolution and the spread of liberty throughout the world. When was the very brief Golden Age of Islam that you hear about (but never see its effects in modern culture) it was the 90 or so years that the Mutalizite Sunni’s grafted Aristotle onto Islam. Why is Europe failing…just find for me an Aristotelian idea anywhere on that god-awful failing continent…or anywhere in the Democratic Party for that matter. Granted those are only two examples…but just wait for the day India, China or Japan grafts Aristotle onto their culture and watch the world take off in a way you’ve never seen. You’re a conservative because of Aristotle not Christ. Please have even a basic understanding of philosophy before you feel the need to state things. Second, yes you do need the religious backing of Christianity to make Aristotle’s philosophy work. Specifically you need the idea that the human soul contains a spark of divinity (found in the Holy Ghost and the idea that man was made in God’s image). But this is not an idea that is unique to Christianity. It’s actually found in every single belief system that is not atheism or Islam. So please don’t act like Conservatism is only a Christian thing, it’s not. It never has been. Most of Founding Father conservatives you admire and respect (Washington, Adams, Jefferson, Franklin, Madison, Hamilton) were deists who tended to doubt (Washington, Hamilton, Madison) or outright deny (Adams, Jefferson, Franklin) the divinity of Christ. We need to accept that conservatism has little to anything to do with Christianity because all this belief does is drive away people who from other religions who would otherwise agree with us on everything. But, way to go. Putting out an article that I can only assume you believe will convince people they should be conservatives…and only accomplishing the exact opposite. Then of course I saw this one also from the supposedly political Townhall.com We are not all the children of God. Because that’s right let’s attack random pieces of theological doctrine on a political website, I’m sure that will do wonders to help this make us a big-tent party centered only around conservative principles. Let’s also ignore such statements as “Adam, which was the son of God” (Luke 3:38) and “Blessed are the peacemakers:for they shall be called the children of God.” (Matthew 5:9). No, no, only the narrowest most closed-minded interpretation of Protestant belief must prevail in our party…are you people intentionally daft or do you not realize you have become your own worst enemy. But speaking of the worst aspects of Christianity, let’s talk about this little article. Resurgence of Calvinism. Dear God in Heaven? Really? The most idiotic, anti-Conservative, anti-individual, anti-libertarian philosophical movement in history is making a comeback. You know I used to debate a rather useless and idiotic atheist and his main point was always to attack Calvinism as proof the religion was stupid and among my many points of why he was wrong was that Calvinism wasn’t exactly a major theme in modern Christianity (my other points that he was debating a Christian and that just because one subsection was dumb doesn’t mean that all forms of religion are still valid and a strong plank in my point that this particular atheist was a waste of space and volume), but it still hurts that this rise in this idiotic strain of religion is on the upswing. And I don’t care what the differences are between the old and new versions of this belief, because at their heart they still both deny free will, a cornerstone belief for any conservative, any republic and any successful free society. To deny free will is to deny the very thing that makes America: the natural rights of liberty and the pursuit of Happiness. But when you look at the people championing this new Calvinism it’s people who claim to be conservatives. Now these are just three examples. But I’ve seen more. A lot more. It’s just becomes repetitive and boring to go over all of them. Now it may be that I’m just seeing what I want to see, a general rise in the stupidity of social conservatives, and the confirmation that bias is making me select the information that supports my thesis and ignore everything else…but I’ve looked and between the Tea Party shifting from a purely small government, pro-liberty, low taxes party to one that wants to rail about social issues at every turn, from the endorsement of social conservative loons like Cruz and Palin, from DeMint’s almost psychotic pivot at Heritage from a economic and foreign policy think tank to one that focuses on social issues as it’s primary concern…I’m not seeing anything to disprove my thesis that there seems to be a distinct rise of the vocal closed minded social conservatives who act as if their way is the only way and all who disagree with them to even a minor degree are somehow not conservatives when conservative philosophy should deal with fiscal matters, property rights concept and foreign affairs doctrines only when it comes to politics….conservatives believe in the power of faith and God and the necessity for them in society but we also should believe that we never put them in a position where government has any power over them. This is dangerous. This is supposed to be big tent party. We’re supposed to be the party of small government. Of personal liberty and responsibility. Of capitalism. And these are values that exist not only on the brand of Christianity but in almost all religions. These statements only drive away the people we should be reaching out to and showing your personal ethics match up with the GOP. It’s not a problem to hold deep religious convictions, it’s in most cases admirable…but while those convictions may drive you, you can convey them in a way that doesn’t turn away people who do not share your exact brand of convictions. And these people who feel that conservative politics is only for their particular brand of religion need to shut up, because they are hurting the politics they claim to support, or they just need to go away because their bigoted ‘my way or the highway’ attitude is far more in line with liberalism that believes it’s perfectly okay to use any and all means to force people to agree with you. I realized that while in my previous meditation I have focused on some of the more spiritual sides of meditation in the past meditations I have suggested I have just glossed over some of the basics. One of the most basic and pragmatic benefits to meditation is that it allows you to improve your concentrations skills. By focusing a few minutes everyday on one thing. By focusing one thing–a mantra, an image, a flame–it allows us to not only focus our mind during the meditation, but to keep our mind focused on things well after our meditation is through. It also allows for our subconscious mind to sift through the vast amount of information it’s been sorting through all day without having to worry about new information. This has multiple positive effects on your psychical and mental health. But sometimes it’s hard to find a mantra that we feel comfortable with (as word have that sneaky tendency to cause us to actually think about the meaning and what it means to us and who said it and and and…the questions and the answers can be the very opposite of the single focus you want in a meditation). The same can be said of focusing on a picture. And finding time to light a candle can be equally problematic (especially some of the time we need to focus are at work or while standing in a line or various other places that starting a fire might be looked down upon). So I find that one of the easiest things to focus on is abstract shapes. There is little to worry about or analyze so they don’t have much deeper meaning and they’re easy to manipulate in your mind (spinning them, changing color or size) so that you can still be focused on them without giving into the boredom that often ruins a good meditation session for those just starting to meditate. So what I suggest is to either focus on a three dimensional figure (a sphere, a cube, anything you want) and just focus on it from various angles or distances in your mind. If you want something that might take a little more mental power. Start with a point. Focus on it for as long as you can. If you feel your mind veering off stretch the point out into a line. Rotate the line the line on any of the three axes for as long as you can. When that gets dulls stretch the line into the a square. Again look at if from all angels. And when your mind starts to wander again stretch the square into a cube. And then after you’re done looking at the cube take back to down reversing the order. From a cube to a square, from a square to a line, from a line to a point. This will help keep your mind focused. It will offer new stimuli as you think about the object you’re focusing on, but still keep you mind on a single object. Ten minutes a day at the beginning or end of your day (or more if you like) and you’ll be amazed at how much more you’ll be able to get done in a day. Incorporate it with a daily more spiritual meditation and you’ll find you’ll get the best of both worlds. So the other day I was asked by a friend “what does a New Ager believe?”. And I gave my usual piss-poor answer of “It’s kind of hard to explain. It’s a mix of a lot different beliefs.” And while this is true, it’s still not a great answer. 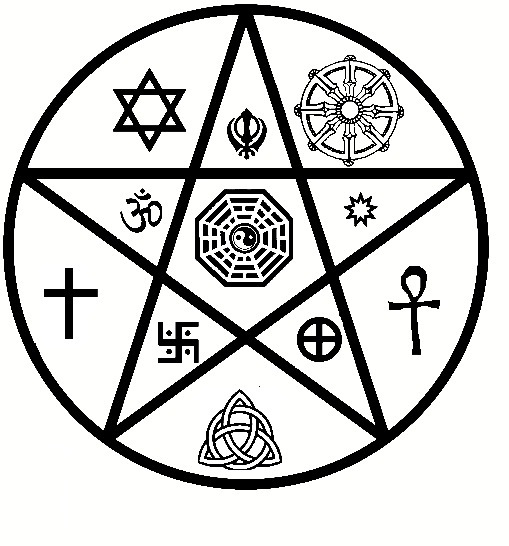 Not that other religions are easy to explain, they’re not, every religion is complex and difficult to understand…however, those other religions have these useful books or pre-vetted collections of belief or maybe one or two major beliefs. “What does a Buddhist believe?” You have an answer “The teachings of Buddha and reincarnation and the releasing of karma.” “What does a Christian believe?” “The teaching of Christ as reported in the New Testament, love and forgiveness for all.” Now different denominations have variations, but those variations can be summed up in a sentence or two. objections, read the whole thing. So here goes trying to describe my beliefs of what it is to be a New Ager (and I fully acknowledge that other New Agers out there may have different takes on this). Now if you know me I would say the most important distinction of religion is the acts of the its followers, but since in the broad strokes almost all religions advocate for the pretty much the same external actions (with only minimal differences–and I’m excluding the act of fanatics here)–thus the ethical differences between New Age belief and more traditional beliefs is probably not the most efficient way to distinguish New Age belief. So let me go to the more useful metaphysical relationship of God to Mankind. The first is if you were a parent and your small child was having a nightmare so powerful that they couldn’t wake up, you have two options. Either (1) you can slap your screaming crying child to wake them up or (2) you can hold them, rock them, and speak to them soothingly hoping that your voice will lead them out of their nightmare. Now most parents will probably choose option 2. Option 1 might be faster, but it certainly isn’t all that humane. The second thing I want you to consider is that in dreams time and identity doesn’t quite work in the traditional sense. I think it’s probably safe to say we’ve all had a dream that seemed to last for days, maybe even weeks, but our perception of time was only part of the dream. A dream that lasts ten minutes in the physical world seemed to drag on in our mind for days. Also we’ve probably all had a dream were there is more than just ourselves in the dream. Our dreams often have a quite large cast, but really all of those people in our dreams are nothing but images of us taking a different form. Some of us may even have had a dream where we perceive the actions of two characters in our dreams at once. The third idea I would like you to hold in your mind is the Christian relationship of the Father, Son, and Holy Spirit. If you live in the Western world you should be familiar with this relationship…and since I don’t think I have too many readers in Outer Mongolia I’m going to just assume you already know this idea. Now with those three ideas in mind let me tell you a story. God created the Son. You know this story up to this point. But then the Son had this terrible idea…God might not love him. This is a preposterous idea because God is an infinite being contemplating and giving love. But where the Son should have laughed at such a strange idea, the Son instead fell into a deep sleep (or the equivalent on an infinite non material universal scale). Now in this nightmare that the Son slipped into a whole universe was created with the pieces of the this infinite consciousness of the Son splitting apart into billions of pieces. Just as we may perceive more than one role in our own dreams, the infinite mind of the Son was able to perceive from billions of perspectives. The problem was that this fear that God does not love us latched onto each and everyone of those pieces and formed what New Agers call the ego. The ego is an embodiment of that base fear that we are separated from God, and it is attached to each piece of the Son’s consciousness, what we call the soul. This world is nothing but a nightmare in the mind of the Son (kind of like the Hindu belief that this world is a dream of the Brahman). Now many complain that a loving god would not allow his Son to experience such a nightmare. But remember, as I pointed out in my first idea, a loving parent doesn’t just smack their child until they wake up. They hold them and speak to them, hoping that voice will bring their child out of their nightmare. In this case that voice appears in this nightmare as what is common called the Holy Spirit. Further as I pointed out time can get awfully fuzzy in a nightmare–What appears as thousand of years here is barely a moment in the reality of true existence. From God’s perspective this nightmare lasted barely a moment in eternity. At this point the I think most people will understand when I say each of these pieces of consciousness, i.e. humans, are trying to free themselves of their egos and fear and reach a level of Enlightenment a la Hinduism or Buddhism. Ideally, of course the ultimate goal is for everyone to shed their ego/fears and return to the level of being an awakened Son of God. This might engender a idea that we must think collectively and put our own well being second to the good of the whole and others as our goal cannot be reached until all beings reach enlightenment…but that’s actually a false line of logic, as you can’t help anyone else until you yourself reach enlightenment. As such New Age belief requires not only the follower to not give into fear (i.e. you absolutely can’t be a “God-fearing” person as other religions might ask of you) nor can you ascetically withdraw from the world and condemn all the world’s pleasures as sin because that is also giving into the ego’s false belief that sin exists. What you say, of course sin exists! Not really, if this world is only an illusion there can’t actually be anything that God condemns us for, because to God doesn’t admit this world exists, thus there is nothing to condemn and nothing for God to forgive. Yes there are terrible things that happen in this world, but it’s acts of violence against ourselves, or actually against illusions we have created, certainly not against God or God’s laws. But the ego uses your guilt to keep your soul tied to it. I could go on, but to cut this short (and give me future blogs to deal with) the New Age belief is that Enlightenment will only be achieved through the full expression of ourselves and realizing that we are the Son of God and have a infinite power and nothing to feel guilty about because God loves us and anything contrary to that though (fear, guilt, uncertainty) is what keeps us in this nightmare.